Gfinity Summer Masters at EGX: The Players! I’m really looking forward to the Gfinity Summer Masters II this week at EGX. Combined with Counter-Strike: Global Offensive, Gfinity are bringing the largest ever eSports prize pot in the history of EGX to the NEC in Birmingham! 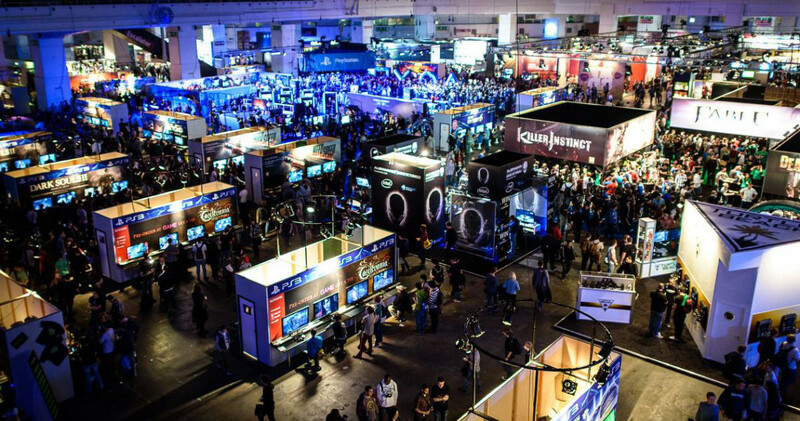 Already the biggest games expo in the UK, it’s great to see competitive gaming be a bigger part of EGX than ever before. It’s going to be lots of fun and a privilege to bring the action from the StarCraft Gfinity Summer Masters to everyone from the commentary desk, and I’m looking forward to working with the rest of the team throughout the weekend. The player list is also really interesting – is this possibly a tournament where from the outset, it’s more likely than not that a non-Korean player walks away with top prize? KeeN has dropped a little out of the spotlight recently, mainly playing in ProLeague with mixed results but admittedly against very tough opposition – beating jjakji and Seed but losing to Leenock, FlaSh and Bbyong. He seems comparatively better lately against non-Zerg races, beating Seed again in Olimoleague as well as Polt in the ASL. He has been popular with fans since very early on in StarCraft II and it will be great to see him on stage at the Gfinity StarCraft Masters at EGX. It is unsurprising that Lilbow has the current highest statistical rating of all eight players here. He is quite simply on top of his game and indeed on top of the world at the moment, having won the most recent WCS Premier League. I think it also says something that statistically his weakest matchup is supposedly PvP – the matchup he faced in his WCS final and his most convincing knockout stage win. The only note to temper this is that in WCS, Lilbow did lose one match…and that was in fact a PvP, to GunGFuBanDa in the group stages. There aren’t too many recent games to gauge MarineLorD’s performance by – he recently beat MaSa and Has in WCS to eventually lose out to a combination of MaNa and Zanster, who played fantastically throughout the weekend so it’s difficult to pinpoint where he lies in terms of form. He is part of the extremely strong French resurgence in StarCraft II of late, but has yet to establish himself as a genuine contender for outright tournament victories. He is persuading critics that he’s a contender to take the position of strongest European Terran player from Bunny, and build on his results to date by consistently making deep runs through tournaments. Recently teamless MyuNgSik does not make headlines as much as many other players, but he traded wins with Dream and beat Dear before losing a tight series 3-2 to herO in the SSL recently. His level of play is very much up there, and Rain’s close 4-3 victory over herO arguably puts all of these Protoss players at a similar level. His last comprehensive defeat came at the hands of sOs, losing 0-3 to him in GSL Season 2 this year but that was after he beat a combination of PartinG, Life and Bomber in the group stages – not opposition to be scoffed at. MyuNgSik did extremely well back in the Phoenix / Colossus PvT meta but has fallen away from that since the style has gone out of favour with Protosses. Patience has always been a consistent performer at tournaments and is really looking to punch his way into the next level. He’ll be pleased with his recent 3rd-4th place at DreamHack Valencia this summer given he also reached this stage of a tournament at DreamHack Winter in 2013, quite a long time ago – but this illustrates his consistency and longevity at this level. Patience has always admitted that his weakest matchup is PvP, something which could be critical in this tournament given how so many of the strong players in this lineup play Protoss. 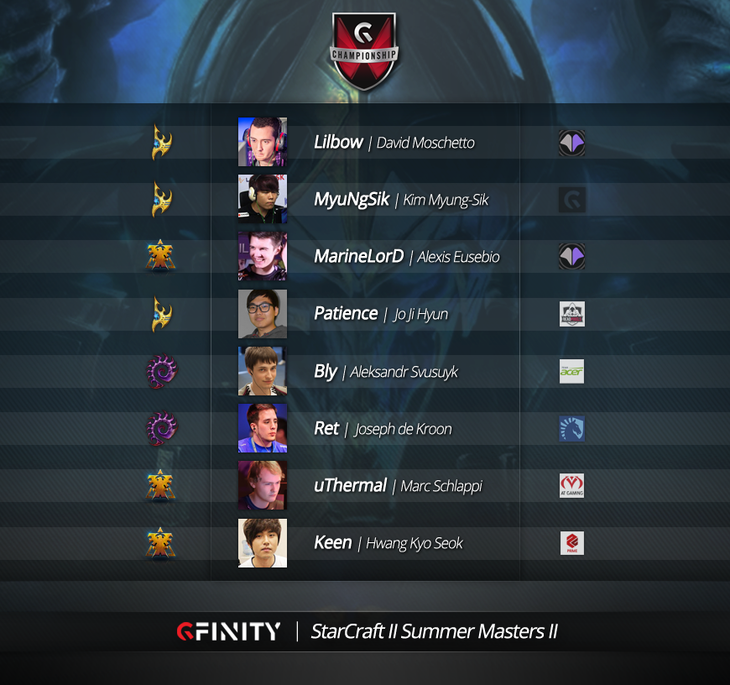 PsiOniC is likely the player in this lineup we’re least familiar with, who has been drafted into the Gfinity Summer Masters to take Bly’s place. Playing for Against All Authority, we last saw him in WCS Season 1 Challenger this year where he lost to Snute, which is no shame at all but means there aren’t many games to judge his performance of late. He is the third French player to join this tournament, and given the recent surge in performance of our French players in general, he may give Patience a run for his money in the first round, especially since PvP is Patience’s least favoured matchup. Ret is a player who can go through both high and low points, but when he’s on form he’s capable of stringing together amazing results and combine them with a tireless work ethic as well. He has struggled slightly against Terran recently, notably to INnoVation and uThermal at GamesCom combined with falling to Heromarine in WCS Challenger. However, off the back of intense practice and refinement away from the spotlight a bit it’s entirely possible we see him come out on-form here. uThermal will be looking to bounce back from his non-participation in the latest round of WCS due to illness. He has hit a run of good form lately but historically struggles against Zerg a little more than his other matchups: he has recent losses against Ret, Lambo and TLO, but has also emerged the victor against Ret (met again in group stages) and Bly. He has proven his ability to get back into WCS Premier, so he may pull a few surprises here. I’m honestly not sure whether overall it’s more likely a non-Korean player wins the Gfinity Summer Masters at the outset (I’m not a seasoned betting man), but I think it’s pretty close. One thing I do think is that based both off of form and strength, Lilbow probably goes into the tournament as the favourite, so while there will be plenty of challenge he would be my pick to win the tournament outright. As for a dark horse? Some players here have spent some time away from the spotlight recently and could spring a few surprises, especially our Terran representation. However, while making a pick for this is difficult I’m ultimately going with MyuNgSik. He’s between teams at present and got a bit of flak after losing 0-3 to sOs a while back, so I wonder if people may have wrongly written him off early. Looking forward to seeing you at the Gfinity Summer Masters for some StarCraft action – come along and say hi if you’re at EGX!